Homeschool Mother's Journal in 7 Quick Takes - The Kennedy Adventures! In my life this week …. It’s as busy as always. The whole family is anxiously awaiting spring weather — we’re all a little tired of the cold! We’re working on nature studies, both planned and impromptu. The kids found a momma cardinal in our yard who was injured. Together with Daddy, they created a ‘get well spot’ for her, protected from the weather and neighborhood cats. Despite their best efforts, “Peepa” died. My sweet little ones learned how to care for a dying animal while Brett worked on his bird eulogy skills. 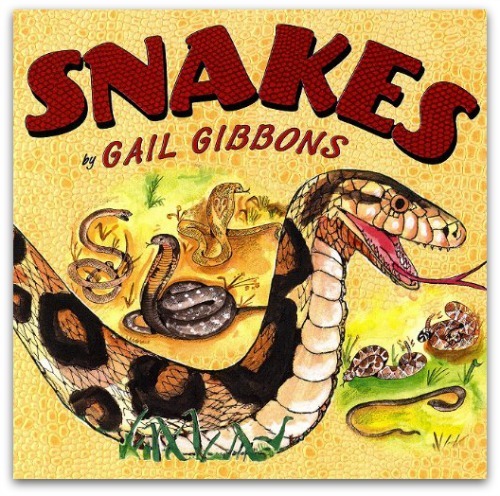 We’re also finishing up a snake unit study from In The Hands of a Child. This is our first lapbook we’ve done, so Rachel’s really loving it. We’ll wrap it up in the next few days with a snake craft, then move on to studying about horses. I struggle with keeping my house clean, especially with so many little children underfoot. Neither of those approaches are helpful, and they drive my blood pressure through the roof. So, I instituted a chore chart. 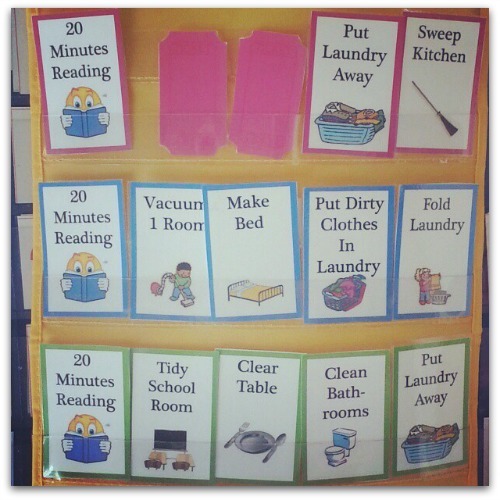 I used the chore chart printables from Erica’s site along with a pocket chart I had in a closet. My kids were immediately curious. I’ll go more into detail next week, but the bottom line is, if they get their chores done, they get 30 minutes of screen time. I’m really patting myself on the back for this one. I’ve even managed to get them to clean the bathrooms. Recipes from my Pinterest boards! So far I’ve tried Cowboy Casserole, Heart Shaped Cinnamon Rolls, Corn Dog Muffins, and Ranch Pork Chops. My husband thought I’d flipped. Saturday, Rachel will be in her very first riding competition! I’m vacillating between being super excited and kicking myself for getting involved in such an expensive sport. She LOVES it, so it looks like I need to clean out the attic and sell some things to fund this endeavor. Hmm. It looks like my lofty Lenten goals will once again go unfinished, unless I become a speed reader in the next week. I had a list of 10 books I wanted to finish by Easter. So far, I’ve finished two books and am still plugging away at the third and fourth. 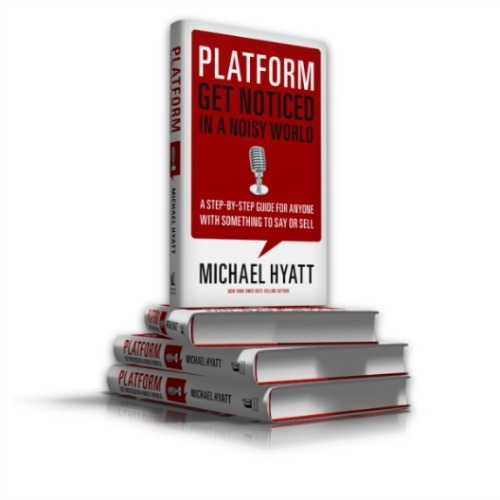 I got a little distracted by a book that wasn’t even on my original list – Platform, by Michael Hyatt. I’ve been reading his blog and listening to his podcasts, so picking up the book was a natural progression. I picked it up in e-book form as well as the audioversion, so that I can listen to it at the gym, or read it on the fly. So far, I love it. Picking up the ingredients to make resurrection rolls, inspired by my friend Kathryn. Mine are going to have a special twist — you’ll have to drop back by next week to get the update. 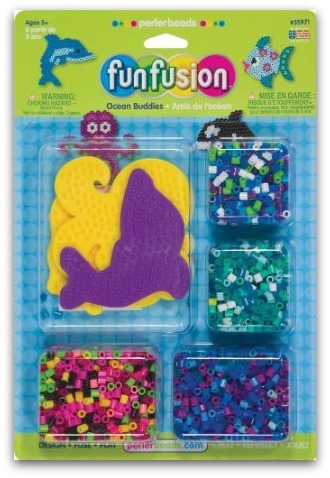 I also grabbed these Perler Beads Ocean Buddies at Michael’s, on a glorious craft shopping trip all by myself. The boys will work on their fine motor skills while Rachel just gets to have fun! For more Quick Takes, visit Conversion Diary! Homeschool moms, don’t miss the other entries in the Homeschool Mother’s Journal linkup. Michael Hyatt has helped Joel and I so much! Did you know he’s a deacon in the Orthodox Church? I was floored when I learned that. Oh, I can’t wait to see the twist. Woo hoo!